This Urdu article by a distinguished Pakistani scholar on Abul Aa’ala al Ma’arri , requires attention. It is is probably among the few, or maybe the only comprehensive article on the poet who is a member of Arabic Literary canon. Acknowledgment: We are grateful to Dr. Mohammed Khursheed Abdullah, a connoisseur of literature and Culture. I am sharing a discussion/dialogue with Irfan Sattar sb on some literary subjects in his program Hum Sukhan. I offer my gratitude to Irfan Sattar sb and producers Tahir Aslam Gora sb and Haleema Sadia sb for giving me this opportunity to share some ideas. It will be very helpful if you invested some time to review it in shared your opinions. Irfan Sattar is a distinguished poet and author of Takrar e Saa’at. Punj Radio’s producer Almas Shabi, and co host of its literary program Sukhan Kada, Dr. Sagheer Aslam conducted an online interview with Munir Saami . Punj Radio USA is an international online radio that broadcasts to various international destinations including Pakistan, South Asia, North America, and Europe. Producer Almas Shabi and co host Dr. Sagheer invite various literary personalities from various countries to discuss their works and thoughts on various issues. I thank Punj Radio for providing me this opportunity. 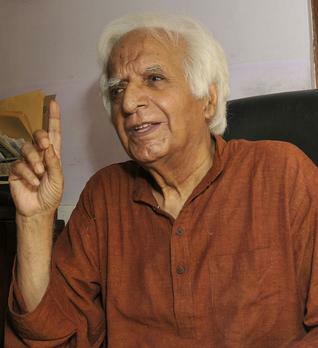 Joginder Paul a major Urdu Short story writer passed away in India at the age of 90 on April 24 2016. He was born in Sialkot , Pakistan and migrated to India at independence. He chose to write in Urdu and was associated with Progressive Writers Movement. It also tells you what makes a great writer like Joginder Paul. This must read article on Muhammad Khalid Akhtar, a major Urdu writer, was written by Musharraf Ali Farrooqi, for Dawn (28 August 2011). It was later shared by Annual of Urdu Studies # 27. I share it with our readers with thanks to these two esteemed publication. Please click the link to read the PDF. I also share a brief bio of Muhammad Khalid Akhtar. His short story “Khoya hua ufaq” was written in 1943 and published in Sawaira by Saadat Hasan Manto in 1953. From the 1950s onward, his short stories, essays, reviews, parodies, and travelogues were published in journals like Funoon, Sawaira, Adab-i-Latif and Afkaar. In the 1990s, he wrote mostly reviews and travelogues. 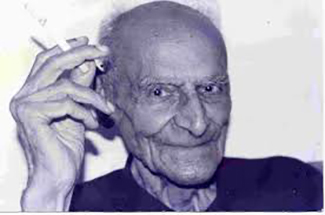 His last piece of writing, travel notes on Greece, written in late 1999, was published in Tehrir. “The word “angelic” usually has the connotation of perfect moral goodness, but that must not lead us to forget that demons are angelic in their nature although of a diabolical or evil will. Nor should the fact of Satan’s subservience to God cause us to forget that the Christian theology tries not to underestimate the power of the devil in his going and comings to the earth. Satan tried to tempt even Christ, and throughout the New Testament the destruction of diabolic influence over men occupies a prominent place. The intervention of the devil in man’s life provides, if not the theme, the background of Goethe’s Faust. As the theory of demonic influence and diabolic possession is an integral part of the traditional doctrine of angels, so, in modern times demonology has been a major focus of attack upon theological teaching concerning spirits. Moralists have thought it possible to explain human depravity without recourse to the seductions of the devil, and psychiatrists have thought it possible for men to go mad or to behave as if bewitched without the help of evil spirits. The idea of Devil according to Freud, is a religious fiction….”The best way out in acquittal of God” for those who try “to reconcile the undeniable existence … of evil with his omnipotence and supreme goodness”.